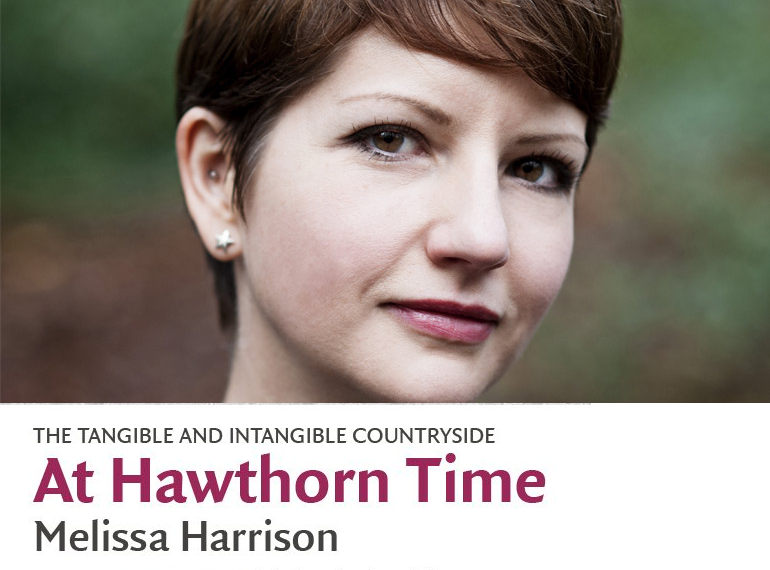 Melissa Harrison is a novelist, photographer and nature writer based in south London. Her first novel, Clay (2013) established her as a leading voice among the new ‘urban naturalists’. Her second, At Hawthorn Time (2015), is a powerful and ambitious attempt to find voices for several different kinds of modern country-dweller: the itinerant causal labourer, the middle-class incomer, the rooted but economically marginalized rural twenty-something. Melissa also writes non-fiction, including Rain: Four Walks in English Weather, published by Faber in 2016 in association with the National Trust, and contributes to the ‘Nature Notes’ column in The Times. On Tuesday 17 January Melissa visited Reading to open the MERL/DEL Visiting Speaker Series, a new programme of lunchtime talks organized by the University of Reading Department of English, in collaboration with The Museum of English Rural Life. The theme of the series this year is ‘The Intangible and Tangible Countryside’. Over five talks our speakers will look at different aspects of rural life and culture. The talks focus on how the stuff of the countryside ­– the land, its flora and fauna, its products and artifacts ­– is bound up with all sorts of elusive, immaterial things – with sounds and stories, memories and inheritances, skills and crafts. The series showcases five diverse experiments in disentangling the tangible from the intangible when we describe rural life, or when we imagine what rural life might one day be. 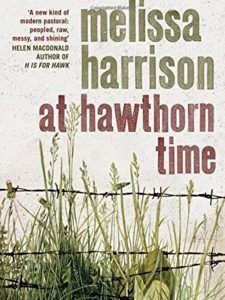 Melissa read three passages from her novel At Hawthorn Time, and responded dexterously to questions from the audience, and from me as session chair. Over the course of the reading we got a strong sense of the themes and ideas that preoccupy her, and that lie behind her fiction. Cultural and social ownership of the countryside – the perennial question of how to balance the interests of different occupants of and visitors to rural spaces, of whose interests should preponderate – is an especially important subject. For Melissa, conflicts of use and conflicts of meaning will always dominate the public conversation about green spaces and natural environments. In her fiction she sees rural spaces as test spaces for social pluralism, where the incompatible interests of people from different classes and backgrounds can be held together meaningfully, and in spite of that incompatibility. The MERL curatorial team responded especially warmly to the passages that Melissa read, and to her commentary on them. There was a real sense of sympathy and shared purpose here – after all, the recent redesign of MERL has been all about opening up the collections to tell stories of the different groups of people who have lived and worked in the English countryside. As a novelist Melissa shares with the MERL curators a desire to describe and to narrate an English rural heritage which is vivid and meaningful to the widest possible range of people today, young and old, in both town and country. We all hope that this is only the first of many visits that Melissa makes to MERL and to Reading. Our next speaker in this free series will be Tanya Harrod, the author of the prize-winning The Crafts in Britain in the Twentieth Century. She will be speaking at The MERL on Tuesday 31 January, 12-1pm. Click here for more information. 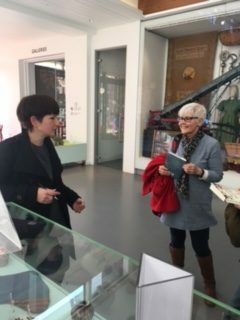 Melissa exploring the museum and signing copies of her book. 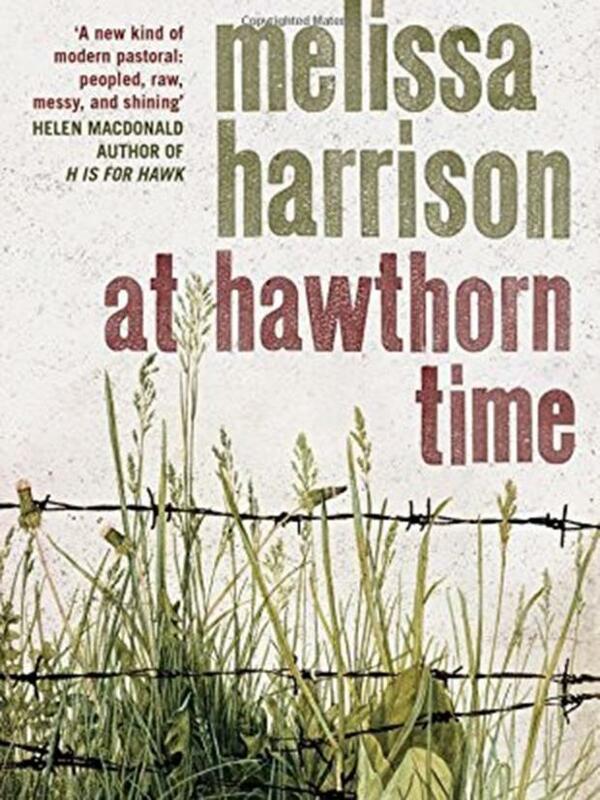 This entry was posted in Events and tagged at hawthorn time, book, melissa harrison, speaker. Bookmark the permalink.